This hand sanitiser from Accessorize* is the best one I have ever used for several reasons. 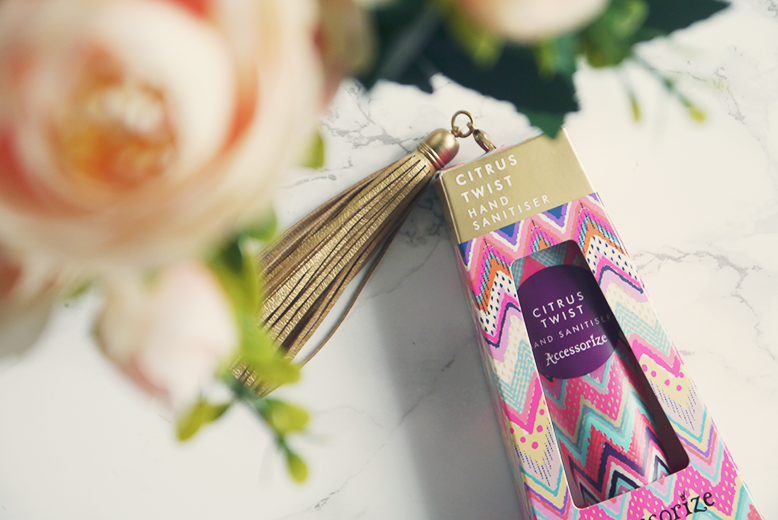 It has adorable packaging and comes with a metallic bronze tassel which I have clipped onto my handbag, the tube itself is a soft squeeze tube so you will be able to get it all out of the tube meaning no waste! It has a gorgeous fruity scent, but not one that transfers onto food if you're about to eat a sandwich or a packet of crisps! It's the perfect handbag size and has a trusty screw on lid so no leaks will happen. The best bit is the price, jut £5 and you get a cute little tassel too!